there are modern casinos out there which only offer 5-reel video slots, tossing the 3-reelers aside altogether. Fortunately, in online casinos where the machines do not take up any physical space and where game selection is an important feature, 3-reelers as well as 5-reelers can be found in an unprecedented variety. As a slot machine gambler void of any particular preferences, which should you play? 5-reelers of 3-reelers? There are people out there who think that it is harder to hit a winning line on a 5-reel slot machine than it is on a 3-reeler. This isn’t true of course: it all depends on the number of pay lines, and 5-reelers tend to be much more generous in this respect too. As far as payouts are concerned, both 3-reelers and 5-reelers pay out about 95% so there’s absolutely no difference in that respect whatsoever. Over the short-run, it may seem like one or the other pays more, but over the long-run everything will even out at around 95%. That doesn’t mean you should settle for that much though. There are slot machines which pay out a lot more – regardless of whether they’re 3 or 5 reelers – and there are of course slot machines which pay out less. The 95% rate is an average. Whether or not your slot machine pays more though has nothing to do with the number of reels it features. 5 reelers tend to do better in hit frequency, which means they’ll feature a smaller short-term variance than 3 reelers. Because they feature more pay lines and more scatter and wild symbols, 5 reel machines will hit more often, but they’ll pay out less. Instead of giving a player one big win after several winless spins, they give them more smaller wins over fewer spins. 3-reelers on the other hand tend to feature longer “dry spells” which can be a bit hard on emotionally more vulnerable gamblers. Regardless of whether you’re playing 3 reelers or 5-reelers, you should always aim to play maximum coins. The reason is a simple one: if you hit the jackpot, you’ll only get paid properly if you play max coins. You do not want to end up like the proverbial Las Vegas gambler who played small denominations to save money, hit the jackpot and ended up taking home a few hundred bucks when he could’ve won more than $1 million. Always take your slots gambling online. Its Mummy time folks, come and prepare for some time-traversing, the Egyptian way. The all new Mummy Slot game is a 5 reel, 25 payline slot from Playtech which is based off of the box office smash movie. The Mummy Slot game combines all the adventures from the thrills right through to the spills. The mad Scientist is back yet again, Dr Walter Prescott, whose even madder than before. He's has found new ways of fulfilling his quest of turning everything into gold! 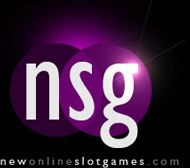 Thus inclding free spins, bonus rounds which include wild reels and the possibility to re-spin specific reels. This brand new 20-payline slot game will keep you glued to your screen at the same time earning you some great prizes and money! So, If you’re into a good old fairy tale, you've come to the right place. This slot game will take you into another world, where you’ll meet Jack and his chicken chased by a two-headed giant whom they’ve robbed.